Talk about rounding out your home’s design! A curved or conical roof adds an interesting architectural element to your home, bringing some historical authenticity to older homes, and a smooth, polished look to newer models. However, they come with their challenges as well. Roofing a curved roof takes skill and expertise—so you’ll want to choose an installer that is familiar with this type of work. 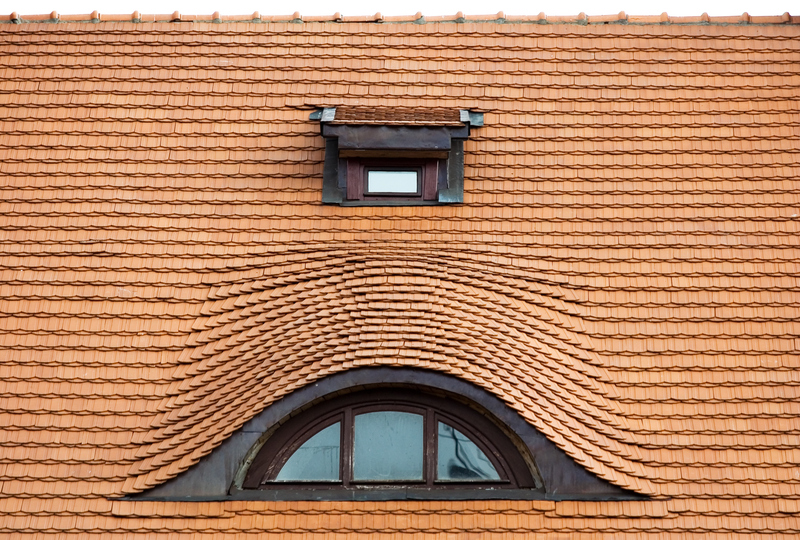 Meanwhile, you’ll also need to take care when choosing your materials—some roofing products work better than others. Here’s what you need to know if you’re considering replacing or adding a curved surface to your roof. There are about as many different roof shapes as there are house plans, but rounded shapes in roofs can usually be organized into a few types. There are curved roofs, which are usually found on older homes. These are fairly complicated roofs designs. They require specialized skills to construct, which makes them time-consuming to build, shingle, and repair. However, past builders preferred them because it was easier to bend the branches used in thatched roofs into curved and rounded shapes. 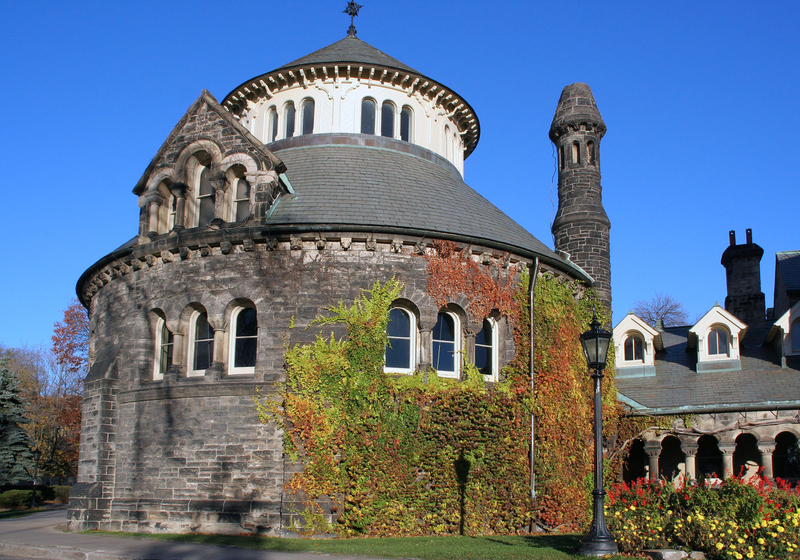 Another way you might see curved shapes on a roof is in the addition of a rounded turret. The Victorians were especially drawn to the turret, and they are frequently found on Queen Anne in the form of turreted gables and towers. Speaking of gabled roofs, the eyebrow dormer—a small curved outcropping positioned over an elliptical or arched window—makes up a third type of rounded surface you might find on a roof. These are fairly rare but can add a unique architectural interest to a gabled roof. Occasionally, a roof’s valleys—the seams where two roof planes join—will be rounded as well. This is a skilled technique that gives the roof a smooth, even appearance as the shingles or tiles travel across the surface. Generally, the larger the surface area of the curved portion of your roof, the more expertise will be required to construct it. A novice roofer may be able to handle a curved valley, for instance, but a turret takes much more experience. Curved roofs typically work best with tiles or shingles—materials that can be manipulated to fit around the rounded plane. For this reason, you may not be able to use metal roof panels, such as corrugated steel metal roofing, on your metal roof. Typically, curved metal panels are considered a very highly customized product that is produced exclusively by commercial roofers for high end real estate. However, if you like the aesthetics or durability of metal, you can get some of these same features using tin or copper shingles—and these options will hug the curves in your rounded roof. There are products that work especially well for rounded roofs, however. For instance, homeowners often choose barrel tiles for roofs with curved architectural features. You’ve probably seen these on southwestern-style homes. They’re semi-circular and usually made out of terra cotta clay roofing or molded concrete tile roofing. Their rounded shape makes them ideal for covering roofs with curved surfaces. Curved surfaces make a roofer’s job harder. Not only does the roofer need more experience and expertise to install curved roofs and lay the shingles or tiles so that there are not visible gaps, curved surfaces also generally can’t be walked on top of the way your roofer can on a flat or pitched roof. This could potentially put workers in more dangerous positions—or your roofer might have to use special equipment to get to shingles located on the top of the roof. For this reason, certain roofing companies may turn down jobs on curved roof—particularly if the entire roof is rounded. Additionally, your roofer won’t be able to stack shingles or tiles on top of the roof, which is a common practice so that roofing teams can avoid climbing up and down ladders all day. So you might have to pay more for labor as well. Rounded roofs and turrets also require specially shaped gutters and drip edges to carry water down away from the roof and siding. A rounded or ‘radius’ gutter typically needs to be custom made by a company that specializes in these products. To order one, you’ll need to know both the measurements of the gutter itself and the radius of the arc (since rounded turrets are a custom feature, there are no standard sizes). As you might expect, this costs slightly more to manufacture than your standard straight drip edge—so you can expect to spend a bit more on these gutters. Additionally, radius gutters are usually made out of high end materials like copper, which can be more expensive. However, with a standout architectural feature like a turret, it’s a good idea to invest in accessories that will keep your home’s exterior looking polished for many years to come—so that extra expense can be worth it.